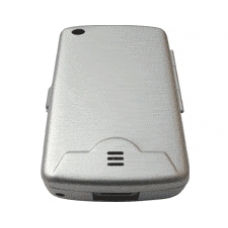 The iPAQ (rx3000 / rx3100 / rx3115, rx3400 / rx3417 / rx3700 / rx3715) metal case is a hard wearing metal case for the HP iPAQ rx3000 range being both elegant and protective. Built from the highest quality materials this small investment will protect your iPAQ in style for years to come. The hard metal case will fit into your trouser pocket and still offer the ultimate in screen protection. Manufactured from 100% aircraft grade anodised aluminium with a thin neoprene lining, the aluminium hard case measures slightly more than your iPAQ PDA itself. Access to memory card slot, stylus, IR, power button, stereo output socket, voice recorder button and synchronisation port. * High Quality PDAir Hard Metal Case. * Removable Belt-Clip Post System. * SD/MMC Memory Card Storage Compartment.